Edit: Another 'calling card' joke, this time in Azazel, episode 22. Also, the prior episodes revolve around a murder mystery where one of the comedians is essentially a 'bootleg' Conan. Update: If you look carefully at the Pink Lupin eyecatches, you'll notice a magician's hat. It's he same one worn by Detective Conan creator's Gosho Aoyama's Magic Kaito. I was watching Ookiku Furikabutte/Big Windup today and was a little surprised when the cheer group started playing the Lupin theme to cheer on the main character's team. I couldn't really focus on baseball after that and just kept listening to the music. Like the first green jacket episode, in Episode 7 of the Death Note dorama streaming on Crunchyroll, Light dresses like a janitor to sneak into a corporate building. 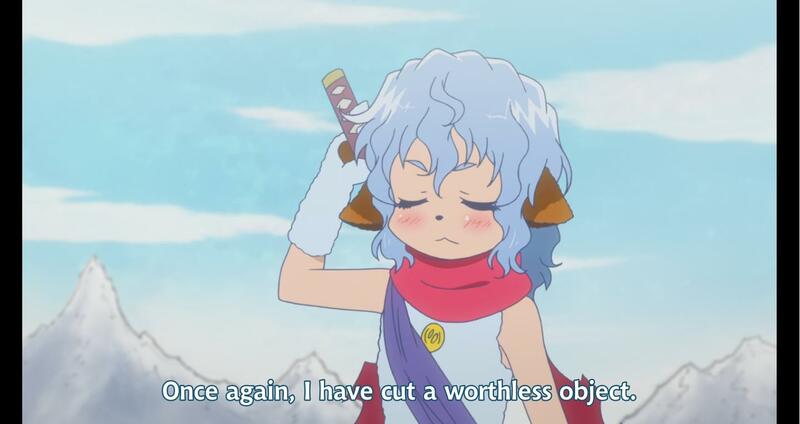 Update: In the fifth volume of Assassination Classroom, they got Koro-sensei paraphrasing Zenitagata's 'stole something precious' line from Cagliostro. In AC's case, though, they changed the object from 'your heart' to 'your tentacles'. Update 2: The second episode of Hokuto no Ken DD 2 has a clocktower gag reminiscent of Cagliostro. Update 3: DD Fist of the North Star II has a reference to Heiji Zenigata, Pops' ancestor. Update 4: This is stretching it, but Girls and Panzer 'homage' to Cagliostro. Update 5: This is technically an old Lupin reference in the new Lupin, but if you check out the background of the ball of blue jacket 22, you'll notice the bad guy from the Miyazaki episode Wings of Albatross is there. In episode 11 or 12 of the new series, Fujiko was concerned when Lupin was dreaming, she said something along the lines of Lupin doesn't dream. Which is probably a reference to the Mystery of Mamo. The end of the first half of the first episode of 'Haven't You Heard? I'm Sakamoto' made fun of that 'steal your heart' line from Cagliostro. Edit: Also, volume 10 of Assassination Classroom has a silhouette of Lupin and Zenigata and Koro-sensei dressed as Clarisse. Edit 2: Oh, and there's a visual pun involving Jigen near the end of the second U.S. volume of the Princess Jellyfish manga. Edit 3: Just noticed a certain nameless Monkey Punch character is used as a 'calling card' for Donnie Yen's Iron Monkey around the 1:59 mark of this trailer. Edit 4: Close, but you need to dye your hair black to complete the green jacket look, Mr. Gosling. 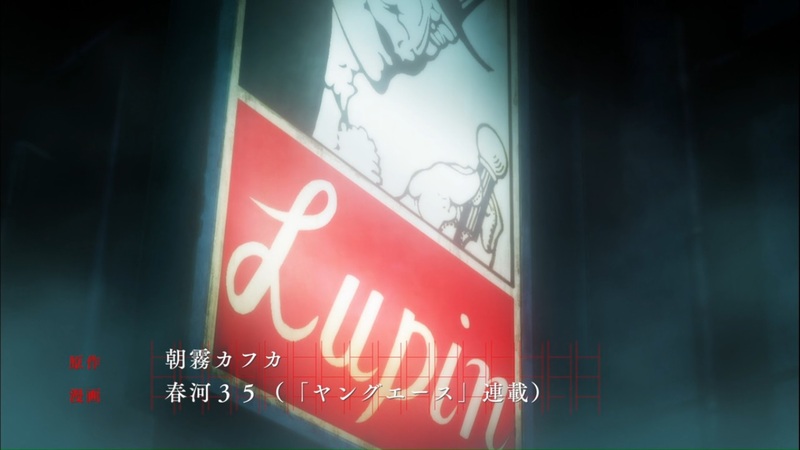 Not exactly Lupin III, but definitely a nod to Maurice Leblanc's Lupin. It's a bar. It's not technically an homage, since that place probably exists IRL. But that pagoda featured in the background of the car chase scene in the Fuma Lupin special re-appeared in the first episode of Yuri!! On Ice, currently streaming on Crunchyroll. Since the show is by Madhouse, they probably hired some of the same animators who worked on Fuma to redraw it. But if you want a direct connection, Sayo Yamamoto, who worked on Fujiko, is also involved with Yuri. Edit: BTW, they talk more about the building here. ^^ That Bungo Stray Dogs one is definitely a nod, the main cast are all famous authors and have several similar nods throughout the series. This Detective is looking for someone from online and he used this as his username. The cabin Mai is aiming at in episode 63 of DB Super is the one which gets blown up in that Lupin pilot and the original green jacket intro. Edit 2: It's not Lupin, but there's an upcoming exhibit on a Gundam: Iron-Blooded Orphans model called Lupus. Does that count? Edit 3: The last two episodes of Tiger Mask W-available-intro'ed a grey tiger masked wrestler calling himself, 'The Third'. 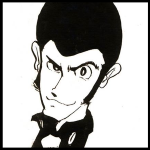 Edit 4: The Persona 5 guy cited Arsene Lupin as an influence.
. They might've also jacked something from that plane scene in the Lupin vs. Conan movie. A lot of the "references" in this thread are stretches, honestly. 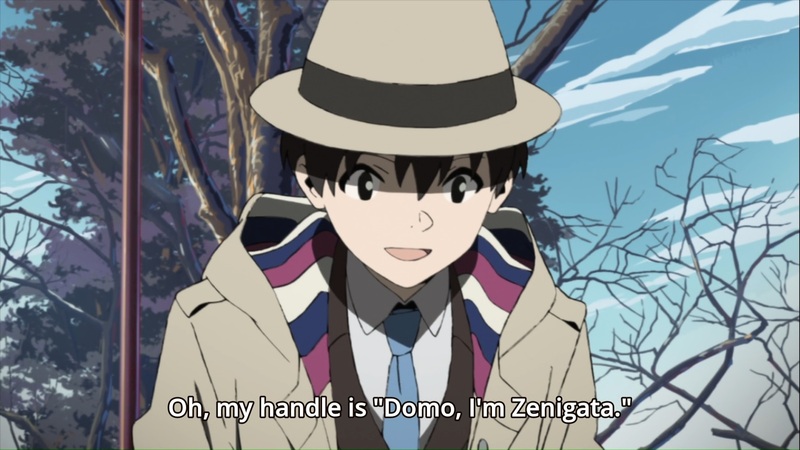 Like one from several years ago where someone was trying to claim that a contestant on Jeporady was a Lupin the Third reference because he was wearing a solid-colored jacket and tie. connections that are honestly just coincidences. Last game trailer at the link has a bishonen Arsene Lupin. Also, the new trailer reminded me. You know that furniture floating in space scene in Mamo? Get Out went there, too. Update: Looks like someone else is a fan of that spider robot from Fuma. And possibly that live-action '014 Lupin movie in general.